At NRG, we’re more than electricity. We’re positive energy, working to enrich the communities where our customers and employees live, work, and play. We’re ambassadors, caretakers, and advocates for community causes. Giving back — with helping hands, volunteer time and talents, in-kind donations, and monetary support to those in need through our community programs — helps sustain the mission of charitable causes and allows us the privilege of serving people from all walks of life. Our home is where our heart is. And it’s our responsibility to power it forward by giving back to the people we proudly call our neighbors. Here are just a few of our community initiatives and partners. Our Choose to Give program helps us deliver on our mission to make community a top priority for our customers. This unique program allows customers to make a meaningful difference in the lives of others simply by paying an electricity bill. When a customer enrolls in a Choose to Give plan, NRG makes contributions to one of our community partners that the customer chooses: Ann & Robert H. Lurie Children's Hospital of Chicago, BigBrothers Big Sisters Independence Region, Boston Children's Hospital, Children’s Hospital of Philadelphia, Nemours/Alfred I. duPont Hospital for Children and Philabundance. The Choose to Give program makes it easy for customers to help change lives and make a positive impact with their everyday energy needs. Learn more about Choose to Give here. NRG Gives is funded by the NRG Retail Charitable Foundation and makes it possible for us to donate money supporting charitable projects and programs in our local communities. What makes NRG Gives so special is that our very own employees nominate organizations that are important to them, so we can focus on giving back to the communities in which we work and live. Learn more about NRG Gives here. At NRG, we give back to our community by supporting hundreds of organizations. We want to be known not only for powering homes, but also for powering the lives of those in need. 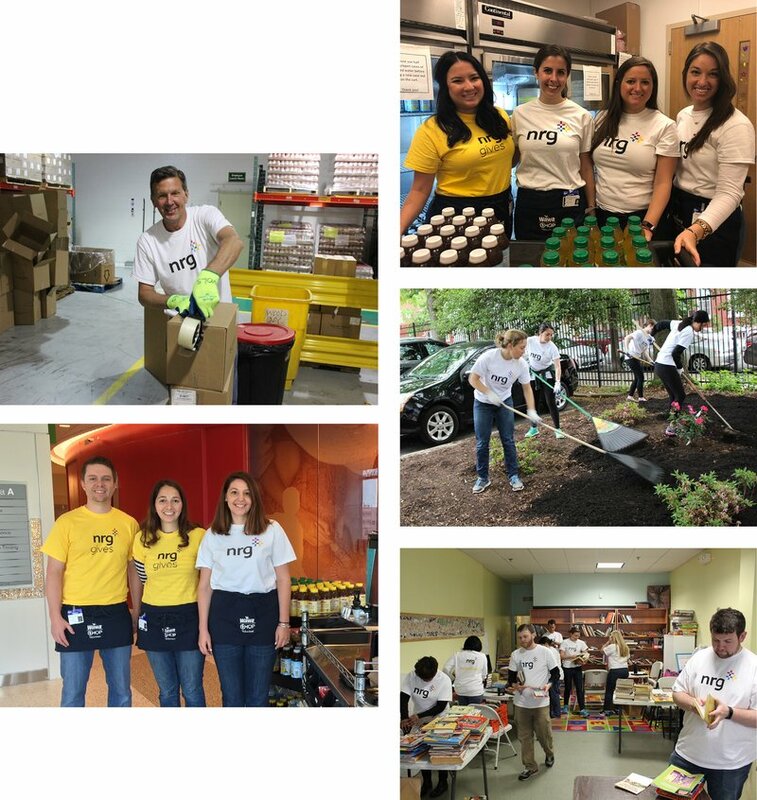 Whether it's organizing food drives, planting trees, painting community centers, walking or running for a cause, or fundraising for nonprofits, NRG employees are always volunteering to make our home a better place.